This is definitely my kind of NA contemporary romance book, character with disability and drama in the story. Hence I liked the story alright. But it’s so predictable I bet you can guess it since first few chapters. I also love the characters, can’t help not to fall in love with Archer. He’s kind, shy, quiet, and in a way naïve (but not in an annoying way, thank goodness). The way Archer reveals his past bit by bit, in each chapter kept me reading it. I’m so curious of what really happened with his family when he was just a boy which led him to his isolation. Basically he is the main reason I enjoyed reading this book. I really liked Bree too. She’s funny, smart, and kind. And I liked that she trusts and gives Archer a chance since the very first time they meet each other. They are sweet and perfect together. And I liked that there is character development in them. And sometimes, that’s all it takes-one person who’s willing to listen to your heart, to the sound no one else has ever tried to hear. 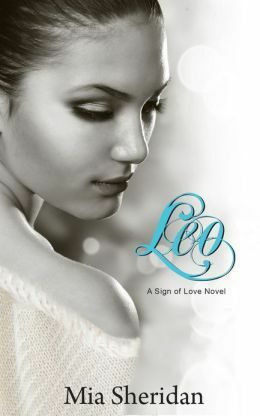 However, just like my first Mia Sheridan book, Leo, I still didn’t quite like the writing. In first part of the story, especially in Bree’s POV, most of paragraphs and/or sentences begin with ‘I’. It’s just a teeny tiny thing but it’s kinda bothering me. And then the heroine describes everything in detail, much more detail than I think necessary. I love reading detail description but if it’s just some kind of info dump, I don’t think I like it. So here I get Bree keeps telling me that she likes curling her hair with iron curling. I know what tool I need for hair curling, so I don’t need her to tell me over and over. It’s like she assumes that I don’t have any idea what it is and how it works. And then she talks about smile too much for my taste. Maybe she and Archer loves to smile but it’s quite bothering reading she mentions their smile too many times. Out of my curiosity I count how many times she describes their smile. There are 22 ‘small smile’ and 4 ‘sweet smile’ not to mention other smiles that I didn’t count. Again, it’s just a little thing in the whole Archer and Bree story but it did bothering me. While I really liked the characters and the story, I can easily connect with them, I didn’t quite like the writing and the way the story is told. It’s more than a good story, I think. And it’s just a matter of my preferences. The blurb is interesting me to read it while the reviews and rating kind of attract me more. Leo, Evie and Jake’s stories draw me immediately from the beginning of the book. 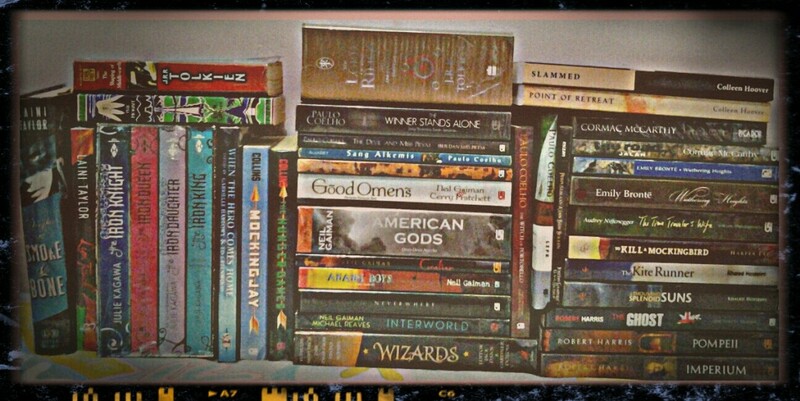 It makes me wonder many things, most of the times it’s a good sign for me that I will enjoy the book. However as the stories continue I can put one piece to another and guess it. So, it doesn’t surprise me when the ‘mystery’ reveals. But it doesn’t mean that it less engaging because after all I still don’t know the why and how questions regarding to the main characters. Half of the stories, I found that it reminds me of one particular story. It really similar makes question which one published first or whether the authors inspired each other. At second thought, I guess I shouldn’t be surprised at the similarity since there are many similar stories with the same pattern these days. Thanks to the way Mia Sheridan wrote the story, makes me keep reading it and in the end I can say I liked it though it didn’t wow me. Her writing is so simple, though sometimes it’s too simple. But, I have to admit that I didn’t quite like the way Evie describes her daily routine in details. She keeps it again and again in some point I found it quite annoyed me. And when Gwen, Jake’s ex-girlfriend tell Evie that she has known Jake for so long, I thought it really a long time, like since their childhood. Apparently it didn’t that long, at least for me. I’m not sure whether it’s just her way to make Evie feeling insecure or it’s the author way to divert reader attention to the connection between the characters. One thing for sure, I can guess it and feel that Gwen exaggerating her story at the same time.